Don Valley Cycles has a history of serving Doncaster and Yorkshire’s cycling community for over 20 years, and it all began when owner Martin Maltby opened the doors back in 1993. But Martin’s history goes back even further. 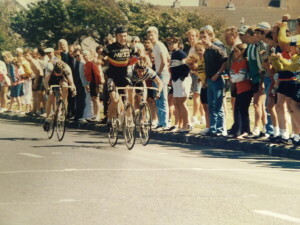 Martin Maltby started cycling at the youthful age of 14 when his school friend, John Tanner, who had started cycling a few years earlier, asked him if he was up for joining him in some cycle races with the local section of the cyclist touring club. After immediately catching the cycling bug, he was inspired with a new found independence and the motivation to enjoy the local countryside on the two-wheeled form of transport. 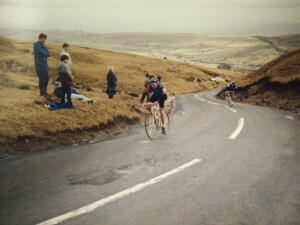 Progress and enjoyment was achieved at a great rate and Martin soon moved on to cycling races with various local clubs. 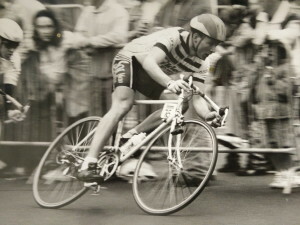 At just 17 years old, he was winning at the national level and was subsequently picked to represent Great Britain at the 1986 Junior World Championships in Morocco. 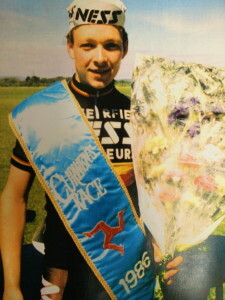 Later he also competed for Great Britain in Canada, Germany, Holland, Ireland and Belgium. Martin moved to Belgium to race and train as an amateur in 1988/89, learning how to cut it in the home of cycle racing in the Flanders region. Having had a taste of the action on the continent, Martin changed his vision and went on to open a bicycle shop in his home town of Doncaster. After working 5 years in a national cycles shop chain, he opened Don Valley Cycles in 1993. The shop was a true success from the beginning with his extensive experience and knowledge of the products he was selling. Not only his passion for cycle retailing, Martin is also a keen organiser of cycle races for the Yorkshire cycling community and personally rates the Doncaster Cycle Festival as his biggest success and the most enjoyable event on the race calendar. Still cycling on a regular basis, he has recently toured in Belgium, Holland, Germany, Switzerland and France. During these tours he also uses the time riding for the product testing of new cycle components and bikes. Recent involvement with cycling has been the route planning for the 2016 Tour de Yorkshire stage which is finishing in Doncaster. Martin is a British Cycling Level 2 Go-Ride coach and works as a volunteer for Doncaster Wheelers, coaching under-16 year olds and helping to develop the future generations of cycling stars for the region and the nation.